To print the main chart as it currently appears, click the Print Chart button on the Build Stats tab. 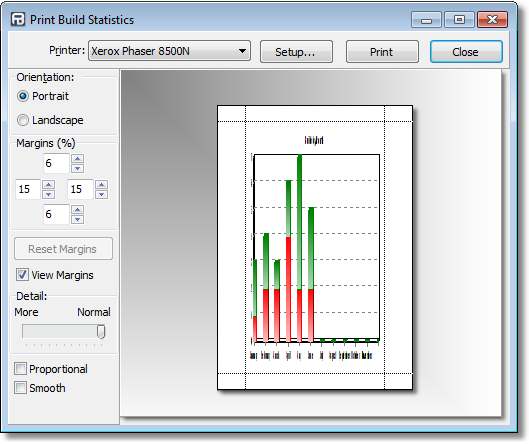 This dialog shows a print preview of the chart. You may change the margins, orientation, detail level, the printer, and then when you are happy with the preview press the Print button to send the chart to the printer. Orientation - Portrait or Landscape.